VulcanCompact is used for stateful traffic load testing, analysis and characterization from 1 to 25 Gigabit Ethernet equipment and network infrastructure. 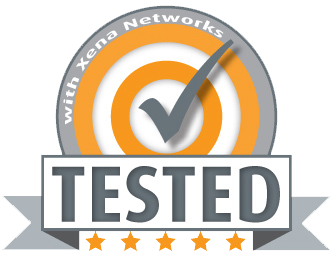 VulcanCompact offers stateful end-to-end testing of network appliances such as switches, firewalls, routers, NAT routers, proxies, bandwidth shapers, and more. The platform is also suitable to characterize entire network infrastructure performance. Developers of Ethernet-based network appliances can characterize their performance by measuring connection establishment and teardown rates, packet forwarding rate at large numbers of connections and identify performance bottlenecks. The platform is also ideal for rapid validation of performance or regression testing. Developers of stateful network security devices such as next-generation firewalls (NGFW) can measure TLS handshake rate, TLS throughput, TCP CC/CPS, and HTTP CPS/TPS. Users can also replay their own PCAP files to the DUT for performance verification. VulcanManager is included for ad-hoc test execution and remote management of test equipment located in multiple locations. VulcanAppMix helps to test with real-world applications and protocols for highly scalable application emulation. Includes 2 x Vul-V10G-P licenses, and Vul-Sec-P for enabling TLS traffic generation on the chassis. Includes 2 x Vul-V25G-P licenses, and Vul-Sec-P for enabling TLS traffic generation on the chassis.